Watery and acrid nasal discharge which becomes worse in warm room. Burning in nose, mouth, throat, bladder and skin. Sneezing, especially when entering a warm room. From cold damp winds; acrid water drops constantly, burns like fire, excoriates the lips and wings of nose, sneezing with constantly increasing frequency with profuse non-burning watering of the eyes. Worse in a warm room and better in open air. 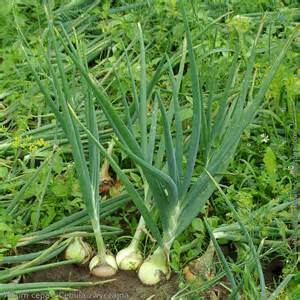 Arsenicum sneezes in open air and has not the laryngeal symptoms of Allium. Almost similar to Mercurius in its eye and nose symptoms but Mercurius has more distress in the frontal sinuses, has a tendency to perspire which gives no relief or even aggravates and the discharge though profuse is not almost as watery as with Allium and not as thick as with Pulsatilla.